ESPN tells us that the Dodgers are chasing three starting pitchers with the desire to sign one of them. They are former Dodger Randy Wolf, former White Sox and Angel Jon Garland and converted reliever Braden Looper. The rumors that the Dodgers and Randy Wolf were getting close to a deal appear to be wrong. 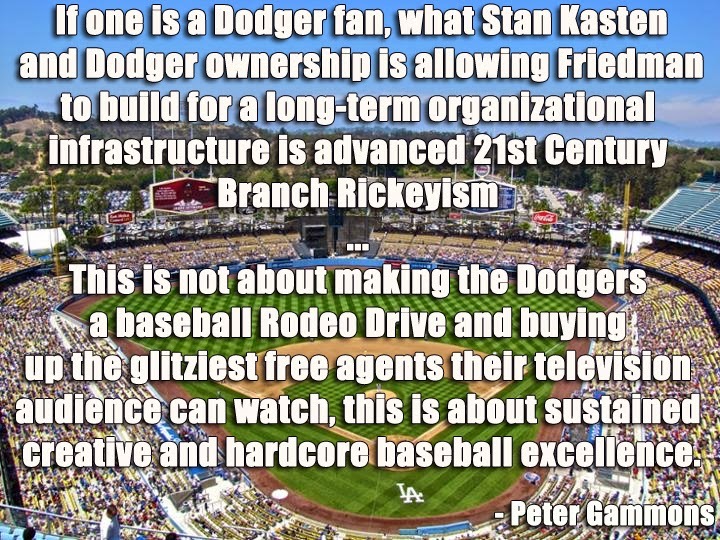 Last weekend, it appeared that conversations had heated up between Dodgers general manager Ned Colletti and Wolf's agent, Arn Tellem. 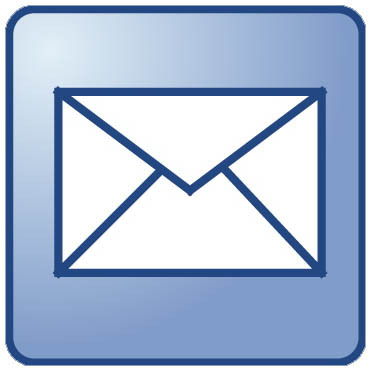 But indications Friday were that the two sides hadn't spoken in several days. I don't really see much of a difference between the three pitchers. So, I would be fine with any of them as our end of the rotation guy. Although, I always thought Jon Garland had some good stuff with the White Sox. 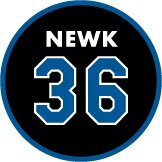 He may be the best bet since he isn't too far removed from his 18 win seasons in 2005 and 2006. 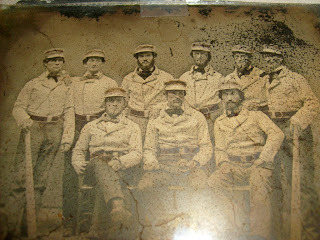 This is a very rare photograph of a Baseball team that dates to the early 1860's. It is a ambrotype photograph and measures 5 1/4 by 4 1/4 inches. Notice how large the bats are. They are very representational of the giant clubs that were used back then. 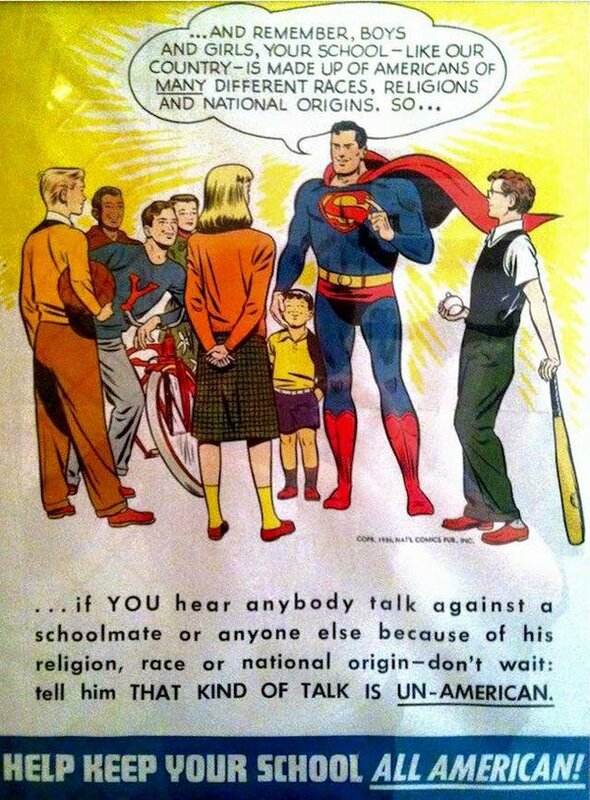 Also, the uniforms (especially the belts) and facial hair styles give away the date. Unfortunately, it has some serious condition problems. Nevertheless, it sold for a healthy $1,325.00. 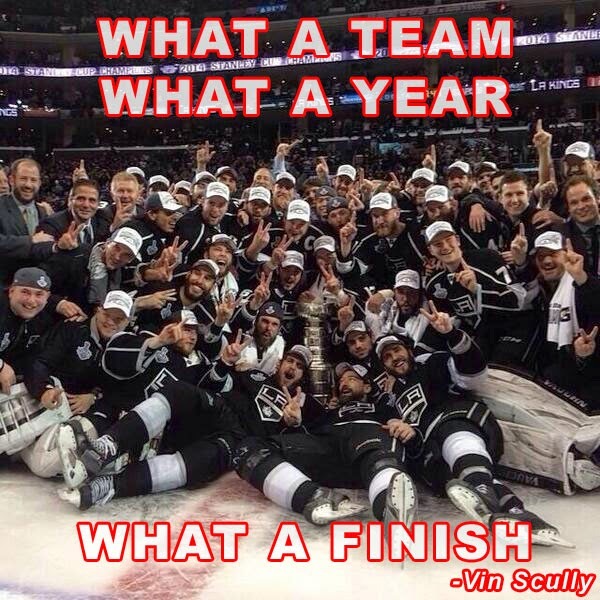 SCP Auction is the only locally based sports collectible auction house. 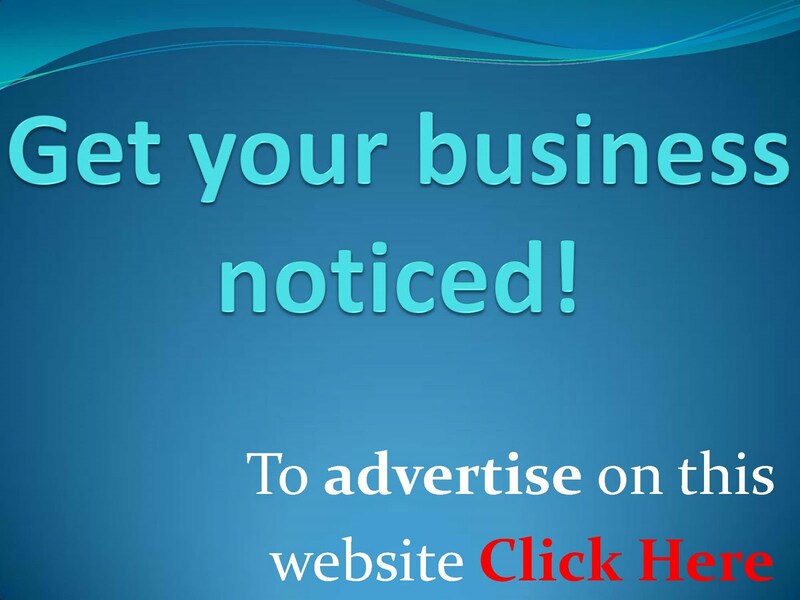 They run usually 2 or 3 auctions a year and typically have some great quality items available. This time around they have some unique Dodger related collectibles. 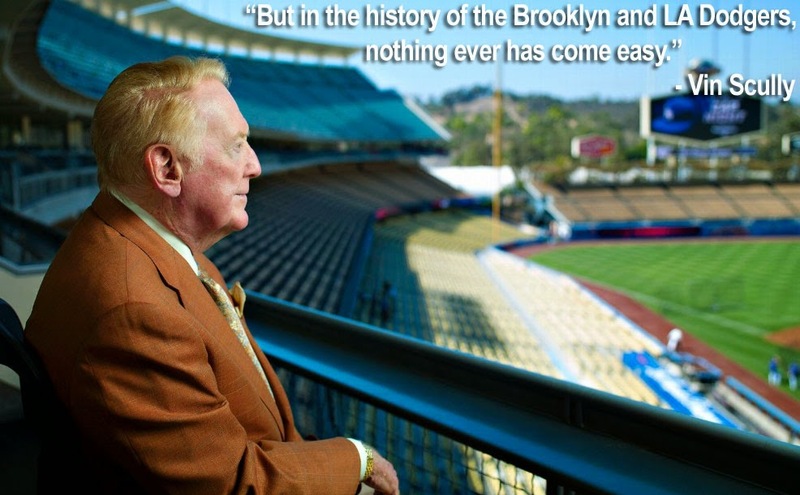 As some of you may know, O'Malley made some attempts to keep the Dodgers in Brooklyn. One of these plans included building a new stadium in the burrough. Below are 2 wire photos featuring the proposed complex. 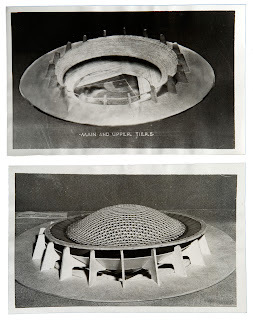 It was conceived as either a domed or open air stadium, would seat 50,000 fans and could be completed by 1958. Furthermore, the seats would be movable to accommodate different sporting events. 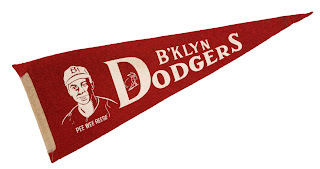 Here is a 23" long Brooklyn Dodger pennant with a caption picture of Pee Wee Reese. 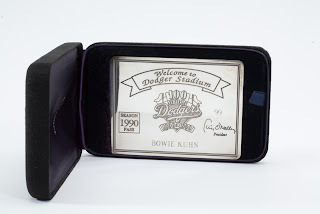 The item below came originally from the estate of the former commissioner of Baseball, Bowie Kuhn. It is a 1990 Silver Los Angeles Dodgers Season Pass. It was created by Tiffany & Co. and has an engraved 100th Anniversary Dodger logo, facsimile Peter O'Malley's signature and Bowie Kuhn's named engraved on the bottom. 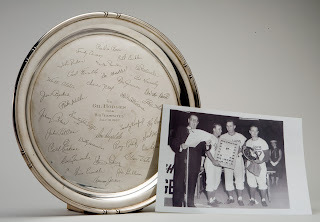 Here is a silver commemorative plate presented to Gil Hodges by his teammates on Gil Hodges Honor Night on July 17, 1957 in Brooklyn. It features engraved signatures of the entire team, coached and team officials. Here is the lone non-Dodger related item I've decided to highlight from this auction. 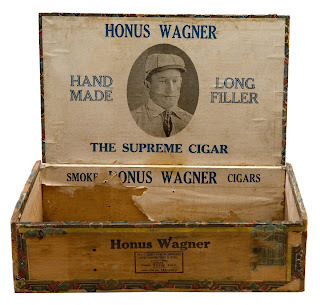 Below is a early 1920's cigar box promoted by Honus Wagner. It features a photograph of a younger Wagner wearing a Louisville Colonels uniform from the late 1890's. This is very rare and is one of only a handful known to exist. This cigar box certainly puts a wrinkle into the folklore about Wagner and his refusal to be included in the T206 set due to his disdain for smoking.